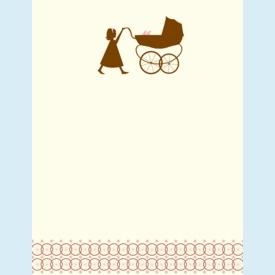 Adorable new baby announcement or shower invitation to highlight a new sibling's exciting role. 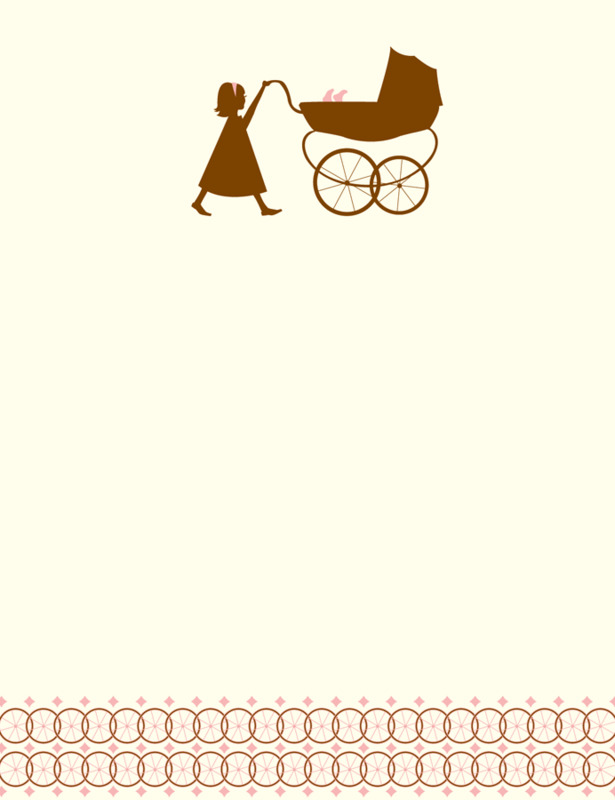 Child & pram silhouette is printed in brown with little feet kicking up from inside in pink (for baby girl). Cool two-tone geometric border pattern at bottom. CLOSEOUT...only 5 sets left.